While I’m happy to skip the primer, eyeliner or blush on a daily basis, the one area of my regime I never gloss over is skin care. You can apply all the makeup (and use all the photoshop) in the world, but if the canvas beneath isn’t luminous and hydrated the tell tale signs will still be there and shine through. This isn’t about ‘turning back the clock’ or seeking out the skin you had as a teenager, but helping us to all look and feel our best while ageing gracefully. With the advances in science enabling us to treat our skin effectively and ensure it has all the ingredients it needs to work efficiently, there’s no excuse for anyone to look exhausted – or to sit back and let nature take its course. 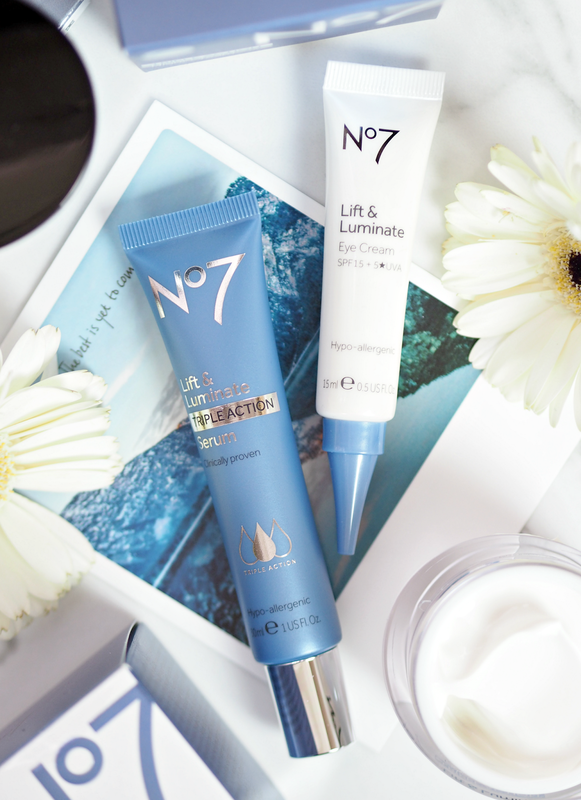 I’m a firm believer in a comprehensive skincare regime and the benefits that using an eye cream, serum, day and night treatment can bring to the complexion, and a number of weeks ago No7 challenged ten bloggers to put it to the test and see what difference it could make to them. better results in as little as two weeks. What’s interesting is the results she’s seen to her overall complexion, rather than focusing on individual fine lines and wrinkles. She said: “I’ve actually been told I don’t look as tired, so I presume the illuminating qualities are showing through! I’ve yet to notice any ‘lifting’ qualities yet, but maybe when I’ve used it a bit longer I’ll start to notice a difference. Overall though my foundation applies better and the end result is much smoother, while my face still feels soft and moisturised at the end of the day. (A big difference for me. )” For me the key difference in her skin is the overall appearance – rather than looking a little tired, she looks refreshed and subtly glowing (as well as younger than her 57 years.) And of the packaging? 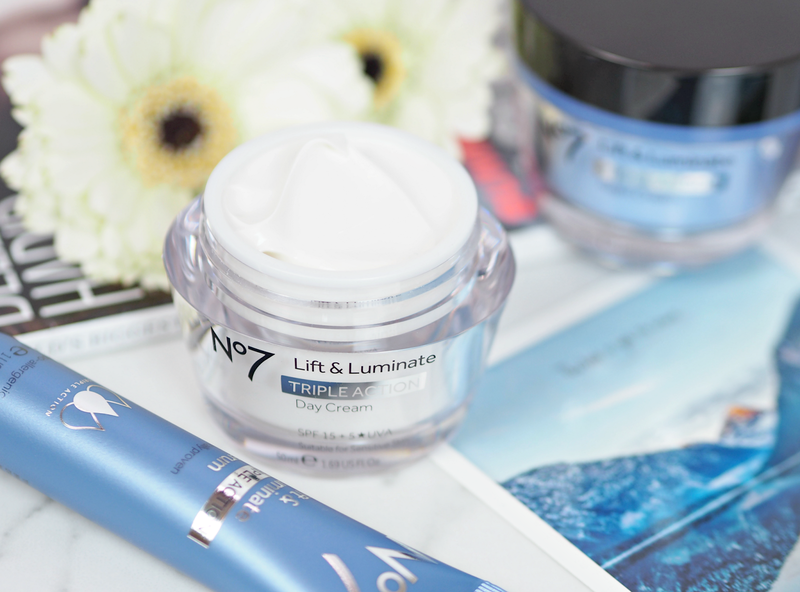 “I really like the pots, which makes the range seem higher end – and something I’m proud to have on my dressing table.” So my mum is a big fan of the Lift & Luminate range, but what about the other bloggers that have been putting it to the test? You can check out their thoughts in their full posts below… But overall, Lift & Luminate is definitely a winner in my book – and we’ve certainly proven that we’re #BetterTogether too. 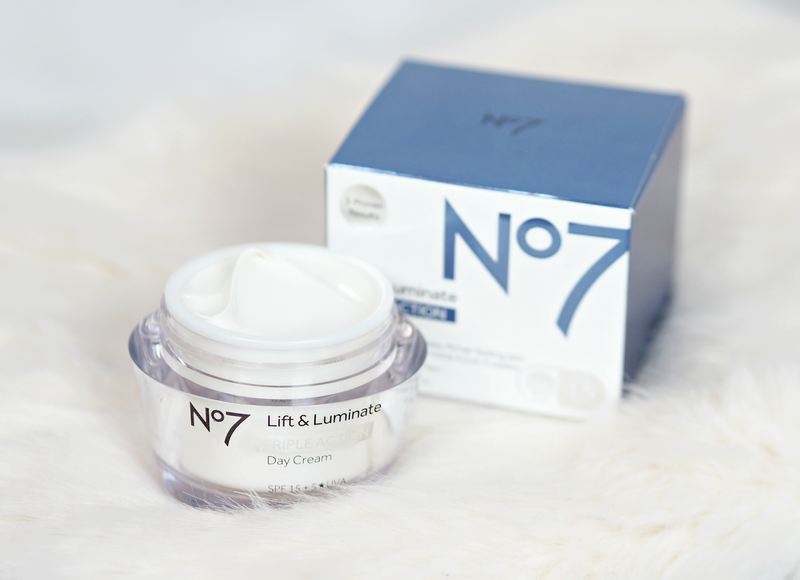 No7 Lift & Luminate TRIPLE ACTION Day Cream £24.95, Night Cream £24.95, Eye Cream £17.00 and Serum £27.00 is available now online and via Boots stores nationwide. 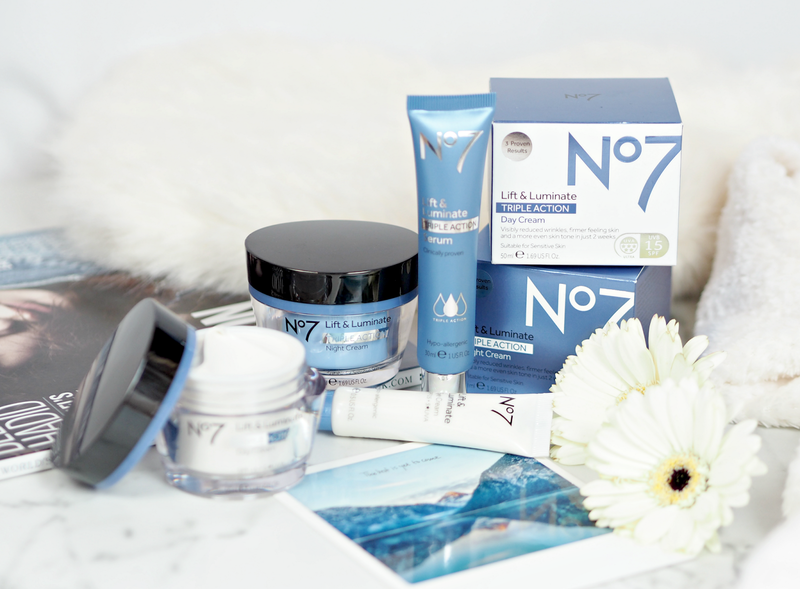 No7 skincare is also currently on 3 for 2 – even better! If Lift & Luminate is a bit too advanced for your age, check out my feature on Protect & Perfect here. This is a sponsored post on behalf of Boots; all opinions are my own. Thank you! And it's such a fab range isn't it – I always recommend it to people looking for affordable and effective skincare.